Innovative solutions for sealing cracks and joints in asphalt and concrete pavements for over 40 years! 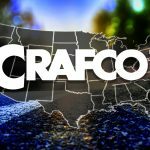 Crafco is the world’s leading manufacturer of packaged pavement preservation products for asphalt and concrete, such as hot-applied (hot-pour) crack and joint sealants, hot-applied (hot-pour) mastics, and cold-mix for pavement surface patching and repair. 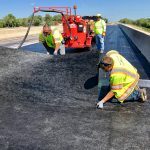 For over 40 years, the engineers and technicians at Crafco have been producing innovative solutions for sealing cracks and joints in asphalt and concrete pavements, as well as developing cold-applied, no-mix patching products. These products are formulated to work in specific climates, traffic conditions, and slopes. Through independent tests and studies, Crafco products provide the best quality and value, and are proven to perform better than other crack sealants, silicone joint sealants or sealant application equipment on the market. Pavement Preservation is a program employing a network level, long-term strategy that enhances pavement performance by using an integrated, cost-effective set of practices that extend pavement life, improve safety and meet motorist expectations. Pavement Preservation includes the components of (a) Preventive Maintenance, (b) Routine Maintenance, and (c) Minor Rehabilitation. Preventive Maintenance is a planned strategy of cost-effective treatments to an existing roadway system and its appurtenances that preserves the system, retards future deterioration, and maintains or improves the functional condition of the system (without significantly increasing the structural capacity). 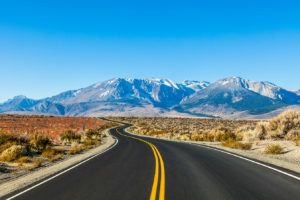 Routine Maintenance consists of work that is planned and performed on a routine basis to maintain and preserve the condition of the highway system or to respond to specific conditions and events that restore the highway system to an adequate level of service. Minor Rehabilitation consists of non-structural enhancements made to the existing pavement sections to eliminate age-related, top-down surface cracking that develop in flexible pavements due to environmental exposure. Because of the non-structural nature of minor rehabilitation techniques, these types of rehabilitation techniques are placed in the category of pavement preservation. 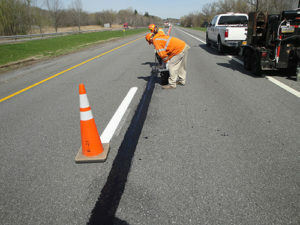 Other pavement rehabilitation projects are not considered pavement preservation. 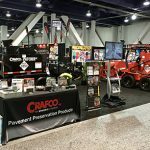 Crafco recommends the proactive approach of pavement preservation. Preserving and protecting pavements while they are in good condition can delay the need for costly rehabilitation and reconstruction for years or even decades. When cracks in asphalt and concrete are not treated, it can lead to costly repairs as well as unsafe driving conditions. Treated cracks can extend the life of pavement by a minimum of 2 to 5 years. How often should you crack seal? Visually inspect previously sealed cracks every year to identify failures and repair as needed. If annual inspection is not possible, previously sealed cracks should be assessed every 3 years, the time it potentially takes for a crack to turn into a pothole. Hot-applied crack sealant for asphalt and concrete pavements (Use our Sealant Calculator to determine how much material is needed for your project). 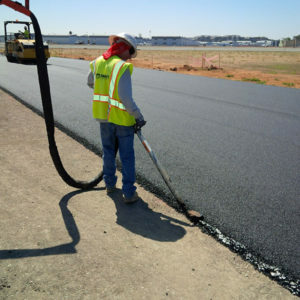 Crafco provides long-lasting hot-applied mastics and high-performance cold patches for pavement cracks 1.5″ (3.8 cm) or wider and other types of pavement distresses. Our representatives are available to help your organization or agency make the most of your paving preservation and paving maintenance budgets. We have been working to improve the infrastructure of roads and bridges for over 40 years. Contact the Pavement Preservation and Maintenance experts at Crafco at sales@crafco.com.